The University research community has an interest in recognizing both the holder of the award with the sponsor and the person serving as an institutional oversight (if different). In order to accomplish this, the University research community recognizes two types of eligible Principal Investigators (PIs): (1) the U-M PI and the (2) Sponsor PI. The U-M Principal Investigator (PI) is a University of Michigan employee having the background and training in scientific and administrative oversight necessary to conduct and manage a sponsored project. The individual must be treated by the appointing unit as an independent investigator and by the University as a non-temporary employee. The expectation is that eligible U-M PIs will submit proposals through their primary appointing unit unless other arrangements have been explicitly approved, by the units involved. The U-M Principal Investigator is considered independent if s/he is a tenure-track faculty (Instructor through Professor), a research faculty (Research Investigator through Research Professor), or holds a Clinical professorial appointment. With unit approval, Emeritus faculty may also be appointed as U-M Principal Investigators. Who can or cannot serve as U-M PI? 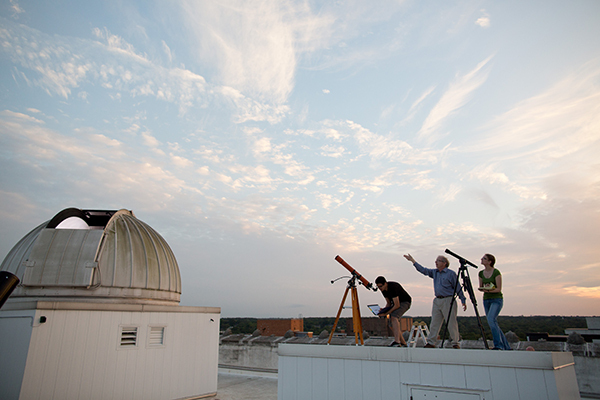 Tenure-track or research faculty are permitted to serve as U-M Principal Investigators on sponsored research projects. Less commonly, but possible if approved by the head of a unit, archivists, curators, librarians, or other leads of non-academic units are eligible to serve as U-M Principal Investigators. Neither research associates, research assistants, nor other staff may serve as independent U-M PIs, regardless of experience and education. A U-M Sponsor Principal Investigator (PI) is an employee or student of the University of Michigan who meets the eligibility requirements of the sponsor. In most cases, the PI-eligible by both the Sponsor definition and the U-M definition are the same individual and are named in the U-M Principal Investigator field of the Proposal Approval Form (PAF). U-M will allow anyone employed by U-M who meets the sponsor's guidelines for eligibility to serve in the Sponsor PI capacity. This situation corresponds to the Proposal Approval Form (PAF) role of "U-M Sponsor Principal Investigator." U-M will recognize that individual as the U-M Principal Investigator as long as the employment criteria and level of independence associated with the current job title as defined below is met. individual pre-and postdoctoral fellowship programs. The proposal format of these typically requires that the individual applicant (e.g., the student or fellow) be identified in the application as the PI in those cases. If the Sponsor PI does not meet the University's criteria for U-M PI, another individual meeting the requirements must be named to provide internal guidance and leadership for the scientific, technical, administrative, and financial aspects of a sponsored project. Typically, the term Principal Investigator shall encompass other sponsor-specific titles such as Project Director and Program Director, terms commonly used for non-research sponsored projects. In these situations, one individual will be identified on the PAF as the Sponsor Principal Investigator. The designation only should be used to identify the person leading the proposal on the PAF, when the term PI is not used in the proposal. Requests for exceptions to the employee/student requirement can be considered. See exceptions defined below. Lecturers and Visiting and Adjunct Faculty (instructional and research) with a paid U-M appointment on the project. The paid appointment makes it clear that the PI is acting within the scope of his/her employment and ensures that he/she is subject to, and covered by, all relevant laws, policies and procedures (e.g., SPG’s 303.03, 303.04, 500.01 601.09, and the Michigan Freedom of Information Act). Heads of non-research and non-teaching units for projects considered within the scope of their duties. All PI eligibility exceptions require the prior approval of the Dean (or his/her designee) of the school/college/institute/center ultimately responsible for the conduct of the sponsored project, as indicated by their approval in eRPM of the PAF to which the exception applies. Unit Heads are reminded that fiscal and programmatic responsibility for the project will revert to their office if, for any reason, the Principal Investigator is unable to complete the assignment. Two or more U-M Principal Investigators can be designated for a project if the sponsoring agency explicitly permits multiple Principal Investigators (sometimes called co-PIs). The multiple PIs share authority for leading and directing the project, intellectually, logistically, and financially. 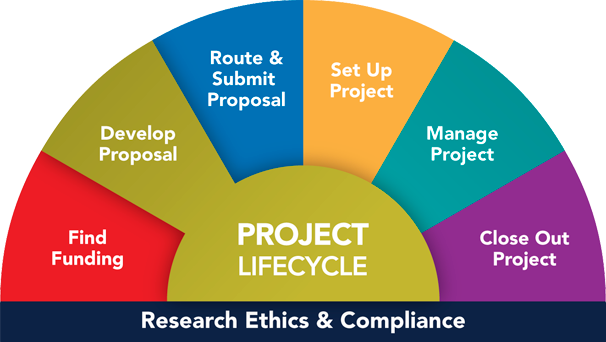 Each PI is responsible and accountable for the proper conduct of the project, including the submission of all required reports. The designation of multiple/co-PIs for a single project diminishes neither the responsibility nor the accountability on any individual PI. One of the multiple PIs must be designated as the Contact Principal Investigator. A true Multiple PI application requires both or all PIs to sign the PAF. A Co-Investigator (which is not a multiple PI application) requires the faculty member to be listed on the PAF but he/she will not be required to sign. If the sponsored project is not being transferred to the PI’s new institution, a replacement PI must be named. See the Post-award Change Request Form (PI/Key Person Change section) for guidance on this process. Additionally, the University will recognize multiple individuals serving as Sponsor PI or PI when the sponsor explicitly allows it. Project Directors of RTC-eligible projects are urged to consult with the appropriate ORSP Project Representative should they have any questions on matters related to prior approval requirements, pre-award costs, no-cost time extensions, unobligated fund balances, space alterations and renovations, cost allocations, and noncompeting renewals. Where can I find the eResearch definitions of a principal Investigator (PI), participating investigators, key/senior personnel or non-faculty investigators? A full page of definitions of principal investigator (PI) and other key personnel can be found in eResearch Proposal Management System's help text. Also see SPG 500.01. What should happen if a Principal Investigator is leaving the university? If a U-M Principal Investigator leaves the University prior to the end of a sponsored project, leadership arrangements for the duration of the project should be discussed with the unit, ORSP, and the sponsor, in advance of departure. U-M Standard Practice Guide (SPG) Implementation of Regents' Policy Concerning Research Grants, Contracts and Agreements Definition updated in 2015.